A discount of £55.00 on the seasonal launching fee may be applied for by people who have a recognised power boat handling qualification. The discount is available by postal application or by application in person at the Council Offices in Llangefni and is not available on the slipways. Launchers who do not take a seasonal launch permit will be required to register before launching. The registration will require all powered craft launched in Anglesey to have valid insurance and to be registered. It will be possible to register by post, at the County Council offices or through the slipway attendants at Traeth Bychan.You can also register by post. You will need to provide proof of identity and proof of adequate insurance cover. Minimum insurance cover will be third party £3 million. Customers who do not buy a seasonal launch permit with their registration will need to pay the registration fee plusthe day’s launch fee on their first launch. On subsequent launches they will only pay the daily fee. 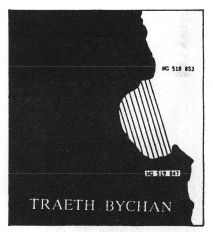 Speed restrictions apply at Traeth Bychan in the area of sea which is landward of a line extending on a bearing of 164 true from the easternmost point of high water at Penrhyn Gell NG 518 853 to the northernmost point of high water at Penrhyn NG 519 847. The restrictions that apply: No person being the navigator of a pleasure boat shall during the months of April to September inclusive cause or suffer such vessel to exceed the speed of eight nautical miles per hour through the water between the hours of 10.00am and 7.00pm.